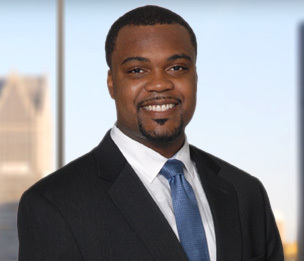 Bryce A. Rucker is a litigator in Dykema’s Detroit office. He has experience in various litigation practice areas, including product liability, business and commercial, real estate, breach of warranty (“Lemon Law”), premises liability, asbestos, pharmaceutical. He has significant experience in automotive product liability matters involving airbag and post-collision fuel-fed fire defect claims. He also has experience representing automotive OEM clients in high-exposure automotive supplier dispute and warranty cost-recovery matters, involving an array of design and manufacturing defects. He works closely with clients’ business and engineering functions to learn technically-complex issues and to distill and present those issues with clarity for clients, judges, mediators, and juries. Mr. Rucker also serves Dykema as a member of the firm’s Recruiting Committee and the Diversity and Inclusion Board’s Subcommittee on Retention. Mr. Rucker graduated from the University of Notre Dame Law School, where he was an executive board member of the Black Law Students Association, Executive Managing Editor of the Journal of College & University Law, and a member of the Moot Court Board. As a third-year member of the Moot Court Board’s Seventh Circuit Program, Mr. Rucker briefed, argued, and won a habeas corpus appeal in the United States Court of Appeals for the Seventh Circuit. He is the first person in the law school’s history to win such an appeal. While in law school, Mr. Rucker also interned for the Honorable Emmett G. Sullivan of the United States District Court for the District of Columbia. Reversal of federal district court’s denial of habeas corpus relief and remand in favor of petitioner. Avila v. Richardson, 751 F.3d 534 (7th Cir. 2014) (involving petitioner’s Sixth Amendment ineffective assistance of counsel claim).